Nina Helms illustrates the beauty of natural forms in her imaginative designs. Each hand-sculpted piece she creates is an artistic expression of the subtle details and textures existing in life all around us. Nina’s custom sculptures are available in a composite. 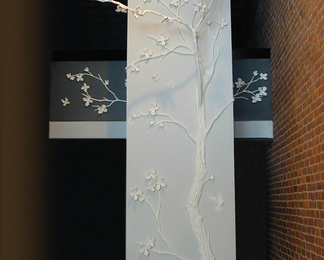 The material feels and looks like plaster but it is actually very durable and holds up beautifully in public spaces. It is also durable enough to reinstall in another location. 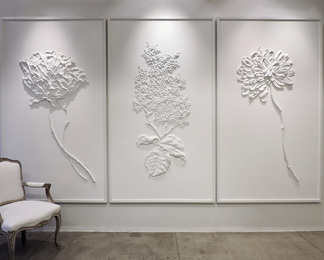 European wall relief sculptures became Nina’s inspiration during a trip to France in 2008. While staying at a chateau in the Loire Valley, Nina was struck by a plaster sculpture on one of the antique walls. 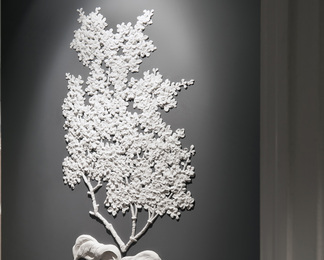 Nina's work is included in private collections and public spaces worldwide. 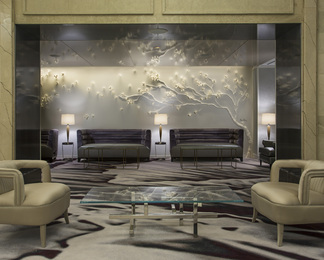 She specializes in distinctive, site-specific, custom commissions. Nina lives and works in New York, New York.